The Android platform is undoubtedly one of the most open of all mobile operating platforms, and the Play Store offers heaps of apps and games to choose from. If you want more choice, f you want to download modified versions of some of those apps and games, you should get ACMarket on your device. A third-party installer, ACMarket offers tons of free apps and games, including modified and tweaked versions and its very simple to use. However, some users have reported problems with installing ACMarket; they follow the instructions correctly but still get a message telling them that ACMarket has not been installed. Irritating though this is, there are a couple of ways to fix it. From here, click the buttons to Clear Data and Clear Cache. Android 6.0 ( Marshmallow 6 ) users will find these options in Storage ( click it and clear the data and cache ). The final thing to try is to clear some space on your device. Delete any apps that you no longer use, delete any files you don’t need, move your photos, music, etc. to an external device, and then try installing ACMarket again. You should also check that your SD card has been correctly mounted if this is where you are installing ACMarket too. 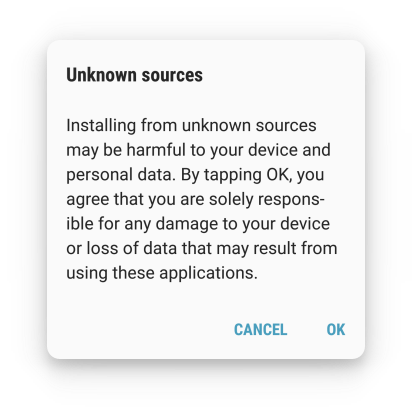 Installing to the SD card isn’t advisable because some APK files cannot be read correctly by the Android Package Installer; this will cause conflicts and issues on your device so try to install it to internal storage instead. Have these methods helped solve the issue on your Android device? Follow us on Facebook, and we’ll let you have access to more useful tips like these. What do you do if it’s installed but doesn’t open?? ?